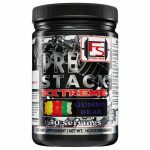 The price on these Optimum Amino Energy, drop to $15.99 shipped at Amazon Prime. With free shipping, this is the lowest shipped price we could find by at least $6 . Available in 3 flavors in this price. This Cobra Labs The Curse, pre workout (50 serv) listed at $53.95. Now $18.88 at Amazon Prime. Available in Blue Raspberry Ice . Shipping is free. This is the best total price we saw by $9. Reviewers have given it a 4 out of 5 star rating. 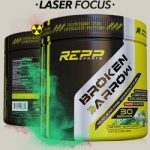 DPS is offering an extra 30% OFF REPP Sports Coupon on already reduced prices of a large variety of the product line including Broken Arrow Pre Workout which drops all the way to $28 after coupon and the price for a case (12) of the popular RAZE RTD drops to $21.